Featuring big hair, a plethora of leather, blinding lights and a stage chock full of screaming guitars, Bohemian Rhapsody ticks all the boxes in the beginner's guide to rock. However, if you scratch the surface, it quickly becomes clear that this is rock but with a definite musical theatre lilt. 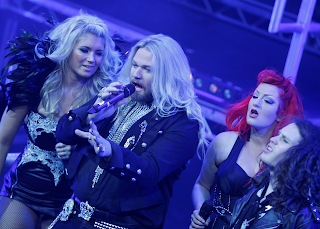 The show is in a similar Queen tribute concert format as Champions of Rock which toured Scandinavia a couple of years ago which featured former stars of the stage musical We Will Rock You. Certainly during the opening numbers the audience at Bohemian Rhapsody could be forgiven for wondering if they were at a light version of We Will Rock You. The costumes are similar and some of the arrangements, especially Under Pressure, reminiscent of the staging in the show as well but, mercifully, without the meandering plotline. The six singers (Amy Diamond, Kelly Ann Gower, Nathan James, Rebecca Kelly, Ben Smith, Giovanni Spanó) have superb voices and perform the songs expertly but they also serve as a reminder of the incredible range and versatility of the late, great Freddie Mercury. All the Queen favourites are here with exuberant performances of Crazy Little Thing Called Love, Under Pressure, Another One Bites the Dust, Bicycle, Tie Your Mother Down, Radio Ga Ga and, of course, We Will Rock You in particular bringing the house down. Perhaps the only song that could afford to be cut from the extensive set list is an ill-advised performance of Barcelona. 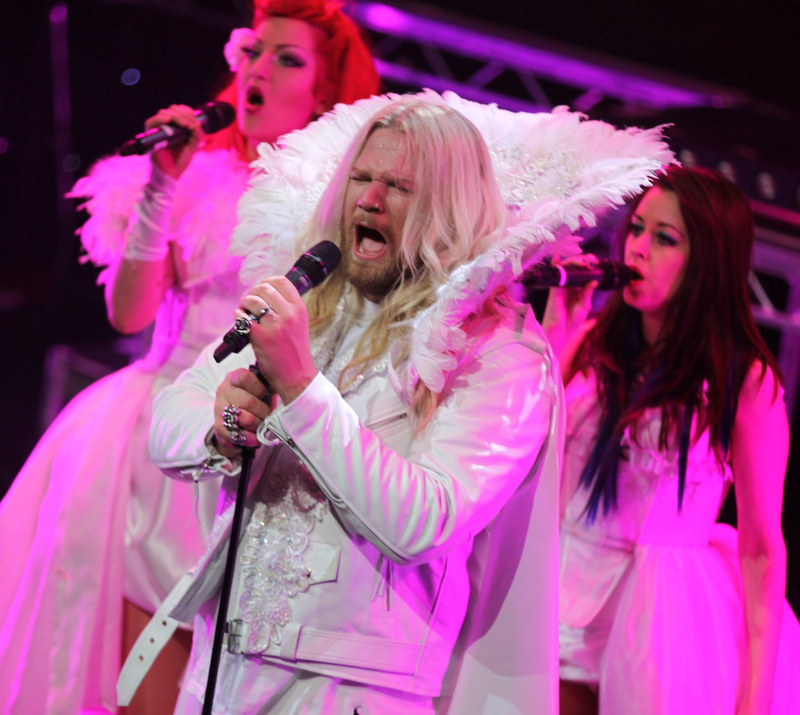 Despite the great effort by Nathan James and Kelly Ann Gower, the original version of the song is simply too iconic to be performed without the unique voices of Freddie Mercury and the operatic drama of Monserrat Caballé. Keeping the energy levels high and the show flowing are the talented dancers (Matt Edmonds, James Alan-Evans, Beccy Jones, Lucy Glover, Ricky Lee Loftus, Laura Ava-Scott) who enhance the show with impressive backflips, routines and wowing the audience by becoming a human bicycle during Bicycle. Queen's music certainly stands the test of time and Bohemian Rhapsody provides an opportunity for those of all ages to celebrate their music. With the classic music of Queen and a wonderful spectacle to enjoy Bohemian Rhapsody provides an irresistible opportunity to rock out. Even on a wet Tuesday night all hands were in the air for the Radio Ga Ga and We Will Rock You hand claps. By the end of the night the enthralled audience were dancing in the aisles with the circle of the King's Theatre bouncing in time to the beat and the audience roaring for more. Bohemian Rhapsody is at the King's Theatre until 6th July.